A video has emerged online appearing to show Sampdoria midfielder Lucas Torreira confirming he’s set to complete a transfer to Arsenal soon. The Uruguay international should now be available to get his medical done and finalise a deal after his country were knocked out of the World Cup by France earlier today. Torreira has shone in Serie A and looks ideal for Arsenal’s needs in the middle of the park, with David Ornstein reporting that things could be wrapped up within a week. 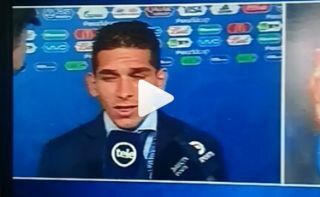 This video in Spanish, appearing on a Torreira fan account on Instagram, has been translated as the player confirming he’s on his way to Arsenal.